A 64 page sourcebook with a Changeling:The Dreaming storytellers screen. 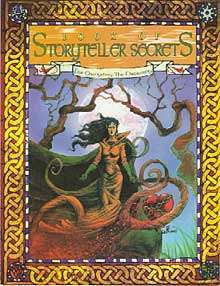 The Book of Storytellers Secrets offers new material to enliven and enrich the world of changelings. Learn the secrets of creating paths and uncover new Bunk and Nightmares.